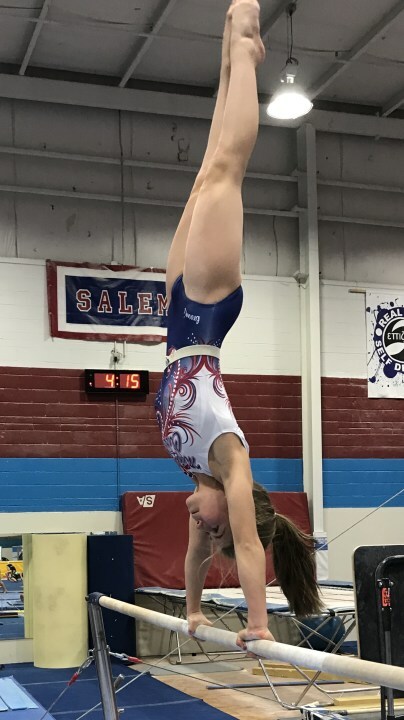 The co-owner of Salem Gymnastics & Swim, Beth Morphis, reflects on a lifetime of growing up playing sports in Winston-Salem and pioneering sports programs for generations of young athletes. I am pleased to say that I have been a Winston-Salem girl all of my life! I was always an “upside down” girl, swinging in the trees at Brunson, turning cartwheels at Wiley, and flipping off the diving board at Westwood. When Nadia Comaneci scored the Perfect 10 at the Montreal Olympic Games, the USA caught gymnastics fever and I did, too. I was a member of Winston-Salem’s first gymnastics team: the “Central YMCA Flippers”. While a student at Paisley High School, my parents opened Salem Gymnastics Center, which incredibly is now in its 39th year of business. Salem has enjoyed being a part of the Winston-Salem community and particularly playing a role in the development of its youth. Over the past decades, we have taught the joys of movement through gymnastics and more to tens of thousands of children in the Winston-Salem area. With the recent addition of Salem Swim, we’re excited to teach not only a life saving skill to children and adults, but also the joys of moving in the water that will last a lifetime. 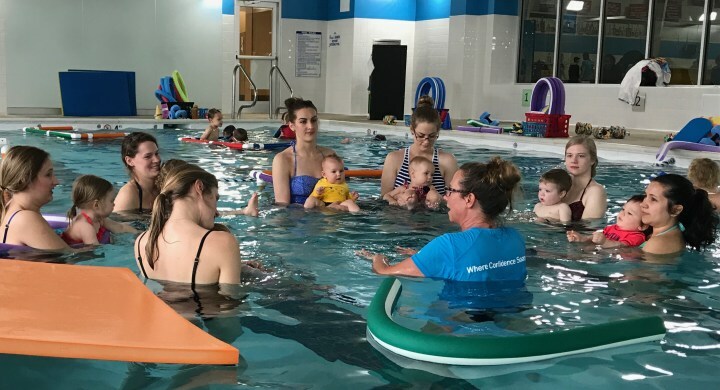 Now that the swim school is 1 ½ years old, we love seeing our little babies now swimming like little fish! Although we certainly have enjoyed the successes of national champions and NCAA athletes, our greatest pride is having numerous former students bring their children to learn from us. Our goal has always been to offer the finest children’s programming in the area. We strive for each child’s time at Salem to not only be one of the highlights of their growing years, but a solid foundation that leads to a lifetime of healthy, active living. Think about this: In this age of baby carriers and hand held screens, many children are growing accustomed to being visually entertained without much movement, setting a sedentary pattern for life. Sadly, even before kindergarten many kids see themselves as being awkward, clumsy, or non-movers, and that can become a self-fulfilling prophecy. The good news is that we believe that children are made to move, and when they learn to move well they gain the confidence to not only try other sports, but to succeed wherever life takes them. And that’s a win-win both in the water and on the land! 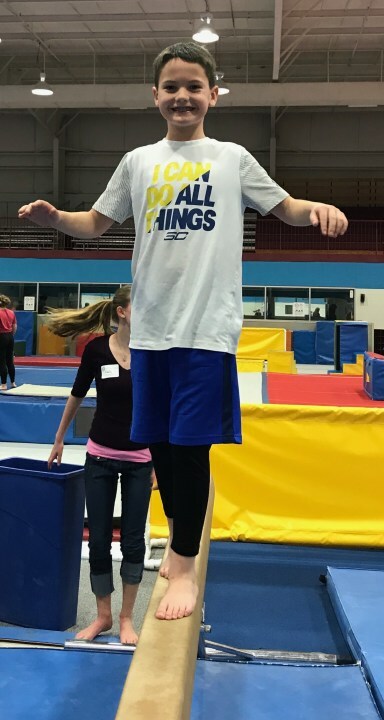 Salem Gymnastics & Swim is co-owned by Beth & Kenny Morphis and Beth’s father, Frank Minter. It is located at 4870 Country Club Road. Course descriptions, complete information and easy registration are all available online at www.SalemGym.com or by calling (336) 765-4668.